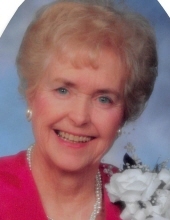 Doris “Tillie” White, age 88 of Plymouth passed away on March 31, 2019. Doris was born in Plymouth to her parents, Burt and Ruth (nee Matevia) Tillotson. Doris is the beloved and devoted wife of the late Charles; loving mother of three children, Craig (Susan) White, Gayle White, Karen Meador and proud grandmother of Brandon Rodriguez. She is deeply loved and will be greatly missed by her siblings, Edith (Ed) Horton and Ralph (Ginny) Tillotson. She is pre-deceased by her brother, the late Howard Tillotson. Doris loved doing arts and crafts as well as attending area craft shows. She was such a creative person and her love for her hobby allowed her to express herself and make beautiful things. She could make what she wanted the way she wanted. Arts and crafts allowed her to use her creative ideas and her heart in creating all things beautiful. Friends may visit the Schrader-Howell Funeral Home, 280 South Main Street, Plymouth on Wednesday, April 3rd from 3:00 P.M. until 9:00 P.M. A Funeral Service will be held on Thursday beginning at 11:00 A.M. at the Funeral Home. Doris will be laid to rest next to her husband, Charles. Memorials may be made in memory of Doris A. White to the American Diabetes, 300 Galleria Officecentre #111, Southfield, Michigan 48034. Donation envelopes will be available at the Funeral Home. "Email Address" would like to share the life celebration of Doris "Tillie" White. Click on the "link" to go to share a favorite memory or leave a condolence message for the family.